Our wireless booster complies IEEE 802.11 & 802.11b communication protocol. Which meets the standard of wireless ether net. It's using the DSSS & FHSS frequency spreading technology. Which makes it safer, and less interference. 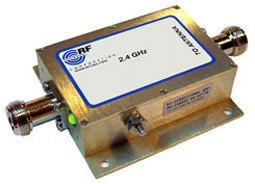 And the signal transmission is based on international certified 2.4GHz industrial radio band. This radio band is also taken by medical science (ISM BAND). By the way, our booster output is only 1000mW. Therefore, our wireless booster will be approved by any of your telecommunication certification. You really don't need to concern about its safety.